This new weekly half-hour series (13 Episodes) celebrates wine and the celebrities who love it. 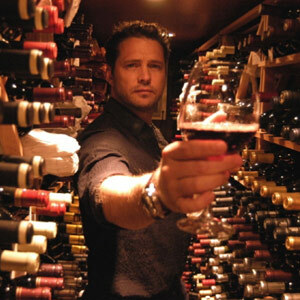 Jason Priestley (“Beverly Hills 90210”) and Terry David Mulligan (“The Tasting Room”) take you on experiences to the finest wine regions throughout the world including Napa Valley, Sonoma, Italy, Spain, Niagara and the Okanagan Region of British Columbia. “HOLLYWOOD & VINES” is a high energy weekly half-hour series celebrating wine and the celebrities who love it. Priestley and Mulligan explore the best in wine, food and travel and take viewers along for the ride. “Hollywood & Vines” mixes enthusiastic vintners, wine festival goers, star chefs, sommeliers, restaurateurs and celebs in a quick-witted documentary style program that crushes all aristocratic wine barriers.